But now, I've grown to know Aloe Vera can be used medically, traditional, smoothing of the skin healing of wounds, hair problems and many more. 1. Treatment of Sun Burn: Because of the effect of heat and radiations from the sun, the skin tends to get irritated and burn easily but Aloe Vera plant or product containing it can help heal the skin of burns and rashes because it contains antioxidant and active agent that does that. 2. Moisturizer: Aloe Vera product contains natural moisturizer which help oil the skin and can treat cut, rashes broughT about by shaving. 5. Anti-Aging: Aloe Vera is very effective in the treatment of aging signs like thin lines on the face, skin wrinkles or other signs but if you want to get rid of such aging signs, then use Aloe Vera and you will surprise to see it cleared. 6. Easy Digestion: I observed that each time i take a product that contains Aloe Vera, i rarely witness any signs of constipation because i get easy digestion. 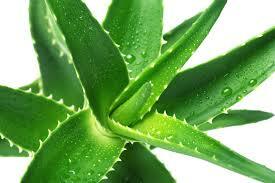 Aloe Vera contains Vitamins, Minerals, Enzymes, Amino Acids etc which help to develop a smooth skin.